Hooray, you're going on vacation—time to eat, shop, and play. However, many people return home and are horrified to find extra fees on their purchases, making their trip a lot more expensive. Many credit cards charge a foreign transaction fee (FTF) for purchases made abroad. This fee is usually 3% of your purchase. This can add up to a lot. If you charge $1,000 on your trip, that's an extra $30 in fees. Luckily, it's easy to avoid this fee. Some credit cards don't charge a foreign transaction fee. In this article, we go over the top cards for traveling abroad. Not all no-foreign-transaction-fee credit cards will work the same way. Here are some other factors to consider. Chip & PIN vs. Chip & Signature. Some smart chip cards require a PIN number to complete the transaction. Others require a signature after the bill has been printed. In the U.S., this doesn't make so much of a difference. However, some places in Europe only accept Chip & PIN. This is usually in un-manned gas stations, train ticket kiosks, etc. Depending on what kind of traveling you plan to do, this may be an important factor. Acceptance. Visa and Mastercard are accepted pretty much anywhere in the world. American Express and Discover have less of a worldwide presence. An exception is China and Japan, where Discover is widely accepted. Rewards & benefits. Choose a card that matches your lifestyle and spending patterns. If you only go on vacation once in a while, then maybe a cash back card is best. If you travel often, then a travel rewards card will help trim the cost of your trips. Vacations often mean spending a large amount of money in a short time. If you want some time to pay it off, look for a card with an intro APR period. 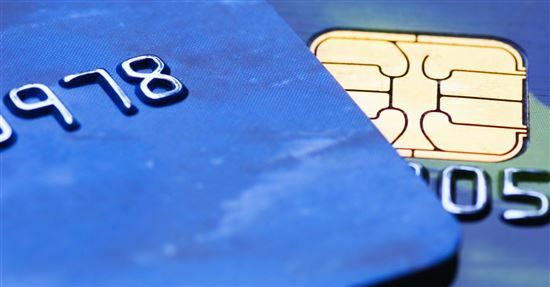 Here are the top 5 credit cards with no foreign transaction fee offers. These cards were chosen for their acceptance, rewards value, and other benefits. Note: Information including interest rates, benefits and fees was obtained on May 16, 2018 from published websites and are believed to be accurate, but not guaranteed. We love the Chase Sapphire Preferred because of the large sign-up bonus and valuable redemption options. Chase also has a great lineup of airline and hotel transfer partners. 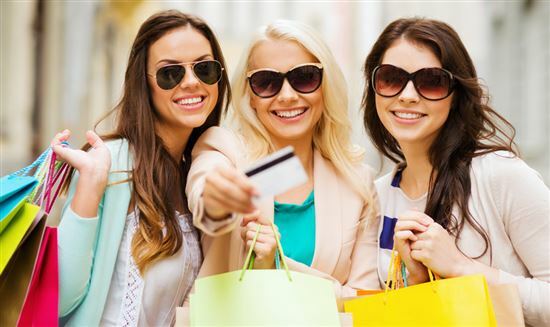 If your spending is varied, you may prefer a flat reward rate on every purchase. This makes it easier to rack up miles fast. If you only travel abroad occasionally, a cash back card may be more flexible. This way, you can use the cashback rewards back at home, instead of being limited to redeeming for travel. If you aren't a big credit card spender or don't travel much, look for a card with no annual fee. We like that the Bank of America Travel Rewards card has good rewards and an intro APR. The Chase Ink Business Preferred offers a huge sign-up bonus and 3x points in popular business categories. A credit card with no FTF is the best option for making purchases abroad. Here's why. The exchange rate is the most favorable. Using a credit card will get you the best exchange rate. When you make a purchase, the bank will convert to your home currency, usually at the market exchange rate. In comparison, cash currency exchanges usually have terrible exchange rates plus a commission. You're not carrying around cash. It's generally not a good idea to carry around a wad of cash on your trip. If it gets stolen, you lose your hard-earned money. But if your card gets stolen, you won't be responsible for any of the charges. HOWEVER, you don't want to lose your card either, as it's a hassle and takes time to replace. Have a back-up method in case you do lose or get your card stolen, like a debit card. Or keep some home currency in a secure place so you can exchange it. This way, you won't be stuck with no way to get money. Travel benefits. Many credit cards come with travel protections. This could include trip interruption, lost baggage, and even primary car rental insurances. Many card issuers also provide assistance if you lose your passport, need a referral to an English-speaking doctor, etc. Be aware of dynamic currency conversion. Sometimes when using your card, you'll be asked if you want to pay in the local currency or in U.S. dollars. You may be tempted to choose dollars, but it's always wiser to pay in local currency. Merchants use dynamic currency conversion, where they get to choose the exchange rate. So it'll usually be more favorable to them. If you pay in local currency, then your bank does the conversion, which is more comparable to market rates. Cash advances still have a high fee. No foreign transaction fee doesn't mean no fee for cash advances at foreign ATMs. If you use your credit card to take out cash, you'll be charged a percentage (usually 3% or 5%). Plus, interest starts accruing right away. Remember to set up travel notices. 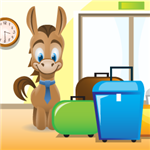 Before you leave, make sure to tell your issuer about your trip. Otherwise, your account may get frozen if there's a sudden charge in another country. Annual fee. A lot of no-FTF cards have an annual fee. But there is still a nice (though more limited) selection of no-FTF cards without a fee. Cards with annual fees will have bigger rewards, but you need to spend enough on your card to make it worthwhile. If you don't travel too much, then start with a card with no annual fee. Rewards. It's great to get rewards on your purchases. If you travel often, choose a card that gives you bonus rewards on categories such as airfare, hotels, and dining out. Make sure the bonus categories also apply to overseas purchases. For instance, some cards only give bonus points at U.S. restaurants. A no-foreign-transaction-fee credit card. Use this anywhere the credit card is accepted. I have used my credit cards on recent trips to Europe (England, Portugal, and Spain) and Hong Kong. Using an American credit card is becoming much easier than in the past. Mobile payments platforms like Apple Pay, Android Pay, and Samsung Pay are common outside of the US. Almost all terminals that accept contactless payments (using credit cards with embedded RFID chips) will also accept mobile payments. Using a mobile payment platform also allows you to avoid the awkward signature requirement that associated with US credit cards. One area that has always been a challenge with American credit cards has been automated kiosks and vending machines, such as those found at train stations. 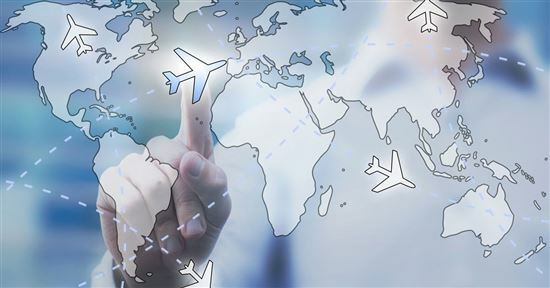 Since most of these terminals now accept contactless and mobile payments, American tourist no longer need to dread finding an attendant to help process the transaction due to signature requirements. A no-fee debit card. Some places may be cash only, such as small bakeries, street food stalls, etc. To get cash out without losing any fees, use a debit card that reimburses ATM fees. Having another card is also a good back-up in case you lose your credit card. For example, Charles Schwab's High Yield Investor Checking Account debit card charges no foreign transaction fees. And the best part is that it gives unlimited rebates on all ATM fees worldwide. A little bit of cash. It's a good idea to convert just a small amount at your bank before you leave on your trip. After all, you may need to take a taxi straight away from the airport. I've also known situations where the airport ATM was out of order. Or where the ATM swallowed the card, leaving the person stranded without any cash until the next morning. A crisp $100 bill is always good for back-up. It's accepted everywhere. In emergencies, you can exchange it. Just keep it in a secure place, separate from your other money. A credit card with no foreign transaction fee is your best friend when traveling abroad. You can make purchases without losing money to fees. It's more secure than cash and offers protections. Just be aware of some pitfalls (such a dynamic currency conversion) and have a couple of back-up plans. Compare the offers for no-FTF cards and find one that suits your lifestyle. 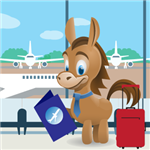 Disclaimer: The information for the Capital One® Venture® Rewards Credit Card, Capital One® Quicksilver® Cash Rewards Credit Card, and Bank of America® Travel Rewards credit card has been collected independently by CreditDonkey. The card details on this page have not been reviewed or provided by the card issuer.